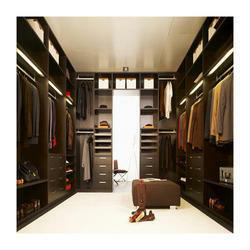 Leading Manufacturer of luxury wardrobe from Noida. Due to our vast industrial experience in this domain, we have been able to offer high-grade Luxury Wardrobe to our prestigious customers. Manufactured as per the industry set standards, these wardrobes are known for their designer look and spacious interiors. The quality controllers keep a strict vigil over the entire manufacturing processes to ensure a defect free range. Looking for Luxury Wardrobe ?